I am currently very excitedly planning a trip to Morocco. This will knock my fifth continent off my list! Only Australia and Antarctica to go. It’s snowing outside. A lot. And the wind is blowing, so the snow feels like little bullets hitting you. And there was thunder and lightning. Every other school (university, college, high school, elementary) in what seems like a 250km radius has thrown in the towel. Not ours! A friend and I decided to be crazy and braved the 8 minute walk to the athletics centre this morning for an 8.30am workout. Now I’m sitting in the campus TV office where I prefer to work over the library, where it is warm and cozy, and dreading the fact that in 10 minutes I have to go outside again to go to work. Night class, (which I have), cancellations will be announced by 3pm. Somehow if they aren’t calling this a snow day, it’s really unlikely that I’ll get out of my night class. This is why I’m moving somewhere warm. In better news, I’ve heard the groundhogs have predicted an early spring. It’s hard to believe right now! Happy Groundhog Day! About as close up as I could get of Martina from Dragonette. After missing Dragonette last year when I was on exchange, I was thrilled to get another chance to see them live. I was even going to get the opportunity to meet them when the campus television station I work for was going to interview Martina, but they were delayed getting into town, so everything was pushed back. I was able to listen to the sound check, but my night class meant I couldn’t stick around for the interview. But it was apparent that I was in for a good show later that night, as the sneak peak during the sound check proved to me that Martina sounds exactly the same live as she does recorded. The actual show was amazing, and we made friends with ther march guy/drummer Joel, who took our shirts backstage afterwards to get them signed for us. So it was a good show and the energy was crazy, despite getting some wounds from stiletto heels of girls who got a little too into the music. 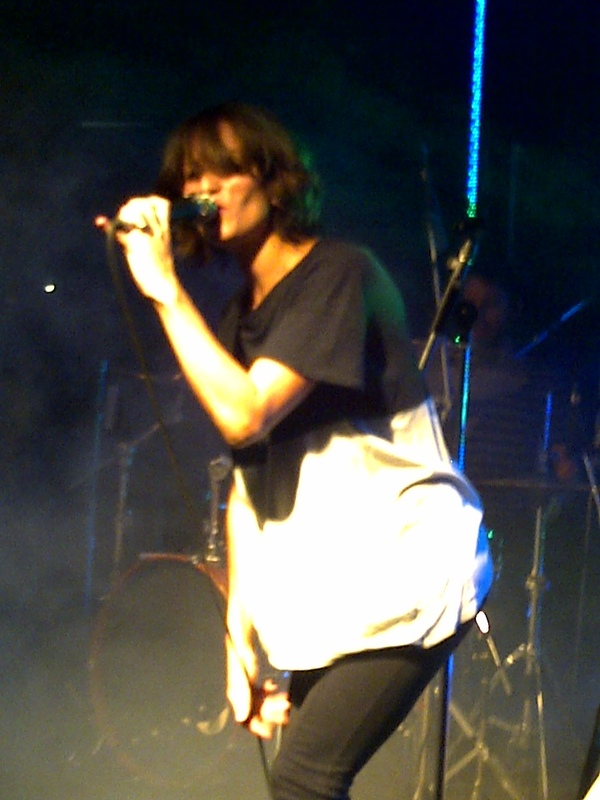 So love love love Dragonette, and I’ll definitely jump on any more opportunities to see them live again! 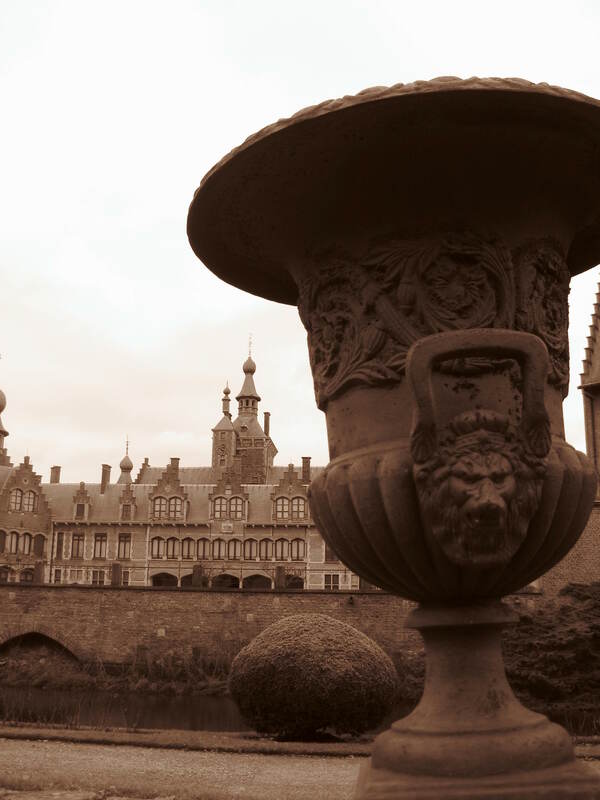 My last day in Belgium, my boyfriend and I went for a wander around Deinze castle near his home. It’s still inhabited by a count, and they do run tours, but I suppose he wanted the holiday season to have the house to himself. The gardens were open, which were nice for a walk. 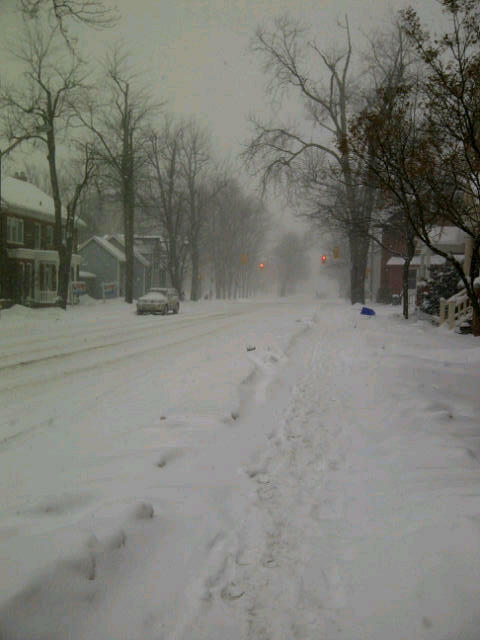 My snowy street on a Saturday morning. It’s been either ridiculously cold here recently, think around -25C without wind, or it has been snowing. I definitely prefer the pretty snow, but I think I’m ready for spring now please. I’m back in Canada and back at school. It’s a nasty shock, both having to get back into classes after a month off, and the 20 degree difference in temperatures (meaning +10 in Belgium and -10 in Canada). I long to be back in Europe, with someone to snuggle with at night. At least the desire to return gives me motivation to solidify my future post-grad. Only four months to go. 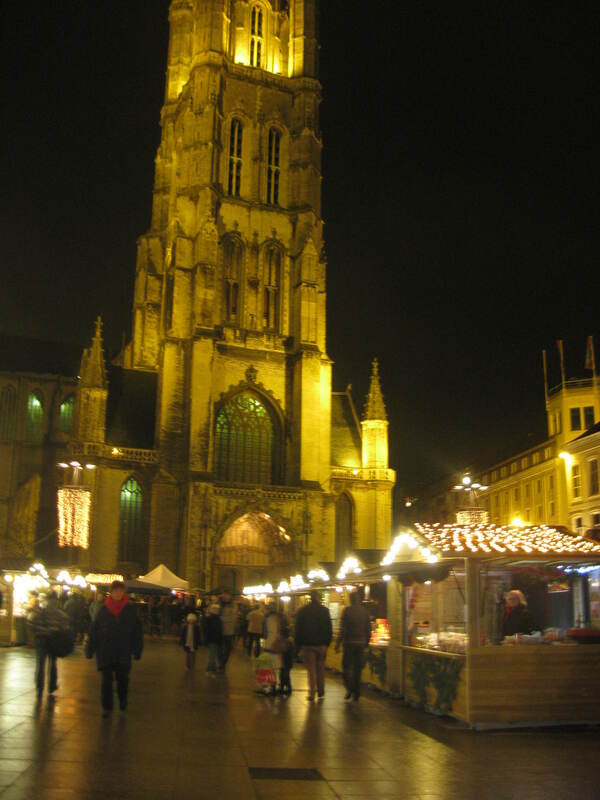 The Christmas market square in Gent at night. I finally made it to Belgium after being stuck in Heathrow for 4 hours. Our plane had a water tank leak, and after sitting in the plane for an hour they finally decided to move us to another plane – which took ages to prep. But it’s amazing to be here, and yesterday we went into Gent to see the Christmas market and to introduce me to some traditional Flemish treats. We had hot wine, poffertjes (mini pancakes covered in icing sugar), and kumpir (a baked potato removed from the oven, the insides mashed and then topped with a variety of things). Today we are off to visit family and I’m sure there will be more opportunities to make me into a “proper” Flemish girl. Gingervere is the Middle English origin of ginger. Despite being the go-to word to describe redheads, some definitions of ginger are: spirit, liveliness, vigor, piquancy, enliven, and animation. I'm a 21-year-old student originally from Canada, but currently on an adventure in Belgium for the semester. This blog will follow me, my musings, and whatever shenanigans I get up to while I travel around Europe and occassionally attend classes.